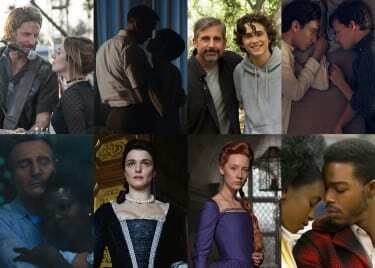 With the 90th Academy Awards® less than a week away, we’re starting to make our predictions for who will take home the gold in the top categories: Best Picture, Best Director, Best Actor and Actress, and Best Supporting Actor and Actress. Though we’d love to see all of the nominees win, we know there can only be one. 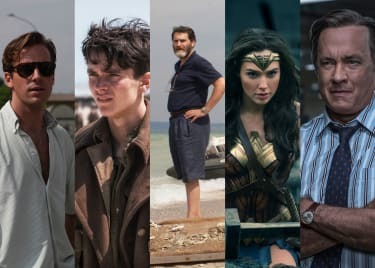 Here are the films and performers we believe are most likely to earn the Oscar. Mourning the murder of her teenage daughter, Mildred Hayes (Frances McDormand) seeks justice with a blunt message directed at the local police chief (Woody Harrelson). News of her billboards spreads like wildfire through the small town and ignites a series of violent events, with little resolve. The film has been cleaning up this awards season, winning the SAG Award for Outstanding Performance by a Cast in a Motion Picture and the Golden Globes for Best Motion Picture, Drama, and Best Screenplay of a Motion Picture. It’s a clear frontrunner for the Best Picture Oscar. 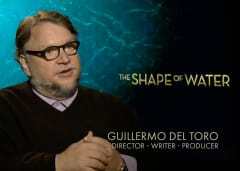 Guillermo del Toro may be the only director who could make audiences root for a relationship between a leading lady (Sally Hawkins) and mysterious fish-man (Doug Jones) — and that’s exactly what he did in THE SHAPE OF WATER, a film that “captures the magic of a fairy tale and the beauty of a classical movie,” wrapped in the wonder of sci-fi. Hawkins stars as Elisa, a mute custodian at a top-secret government lab during the Cold War era. Every day is the same routine for Elisa, until she discovers a classified experiment the lab’s staff call the “Asset” — an aquatic creature being studied, and often tortured, in an effort to stay ahead of the Russians. It’s the type of unusual story fans expect from the acclaimed director, and it more than works. THE SHAPE OF WATER is visually spectacular and heart-stirring, with wholly honest performances. 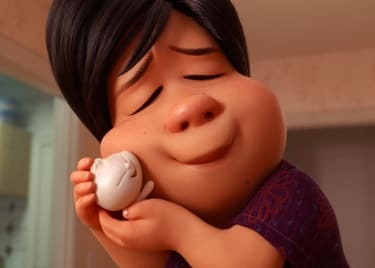 So far, the film has received many nominations — seven Golden Globes and two SAG Awards — but has only won two: the Golden Globes for Best Director of a Motion Picture and Best Original Score of a Motion Picture (Alexandre Desplat). We’re looking forward to seeing how the film will fare at the Oscars. Before GET OUT, writer-director Jordan Peele was best known for the sketch comedy series Key & Peele; however, his debut film is far from funny, leading to confusion and controversy around its Golden Globe nominations for Best Motion Picture, Musical or Comedy, and Best Performance by an Actor in a Motion Picture, Musical or Comedy. GET OUT is a timely thriller-drama about race, relationships, and blatant and restrained racism. African-American Chris (Daniel Kaluuya) is invited to meet his white girlfriend's parents and spend the weekend at their secluded estate in the woods. But that doesn’t mean he’s welcome. Underneath their friendliness and the forced smiles of their all-black workers are horrifying secrets. According to Peele, the film is “an expression of my truth, my experience, the experiences of a lot of black people and minorities.” GET OUT was also nominated for two SAG Awards — Outstanding Performance by a Male Actor in a Leading Role and Outstanding Performance by a Cast in a Motion Picture — but surprisingly hasn’t won yet. Regardless, Peele has made history as the third person to earn Academy Award nominations in the Best Picture, Best Director and Best Original Screenplay categories for a directorial debut. Guillermo del Toro had been in Mexico’s film industry for nearly 20 years before he made his Hollywood debut in 1997 with MIMIC, a sci-fi horror film (i.e., his bread and butter). Since, he’s written, directed and produced countless titles, among his most notable HELLBOY (2004) and PAN’S LABYRINTH (2006). His newest fantasy drama, THE SHAPE OF WATER, leads this year’s Oscar race with 13 nominations. Del Toro’s unique vision earned him his first Golden Globe nomination and win for Best Director of a Motion Picture. This is his first Oscar nomination for Best Director, and we believe he’s overdue. If Frances McDormand takes home the Best Actress Oscar for THREE BILLBOARDS OUTSIDE EBBING, MISSOURI, she will become one of 14 female performers who have won in the category more than once. In the dark dramady, McDormand stars as Mildred Hayes, a tough but tender mother grieving the loss of her daughter. Her complex performance has already earned McDormand the Golden Globe award for Best Performance by an Actress in a Motion Picture, Drama, and the SAG Award for Outstanding Performance by a Female Actor in a Leading Role. On March 4, she will be up again for the Best Actress in a Leading Role Oscar. Her first and, so far, only Oscar win was 21 years ago for FARGO (1996). Over his 35-year career, Gary Oldman has been nominated for two Academy Awards, both in the Best Actor in a Leading Role category. His first was for 2011’s TINKER TAILOR SOLDIER SPY; his second for 2017’s DARKEST HOUR. In director Joe Wright’s World War II drama, Oldman stars as newly appointed prime minister Winston Churchill. Oldman is renowned for his “big” acting style — in which he completely immerses himself in his roles — and this performance is no different. Oldman’s transformation into the prime minister is remarkable, earning him the Golden Globe for Best Performance by an Actor in a Motion Picture, Drama, and the SAG Award for Outstanding Performance by a Male Actor in a Leading Role. This very well could be his first Oscar win. Though Sam Rockwell has starred alongside many A-list celebrities in more than 50 films, he has never won an Oscar. Until this year, he hasn’t even been nominated. The role of Officer Dixon in THREE BILLBOARDS OUTSIDE EBBING, MISSOURI, seems made for Rockwell’s dark (and often quirky) acting style. Despite all of Dixon’s faults, Rockwell is able to move audiences from hating the character — aside from his comedic effect — to pitying him, to sort of liking him or, at the very least, understanding him. For his layered performance, Rockwell won the Golden Globe for Best Performance by an Actor in a Supporting Role in Any Motion Picture and the SAG Award for Outstanding Performance by a Male Actor in a Supporting Role. He’s almost a shoe-in for the Oscar. Allison Janney’s big break came in 1999 when she landed the role of C.J. Cregg on The West Wing (for which she won multiple Emmys). She has since appeared in a variety of blockbuster and indie films, such as THE HELP and JUNO; however, this is her first Oscar nomination. Based on unbelievable but true events, I, TONYA is a mockumentary-style dark comedy about one of the most sensational scandals in sports history. Though the film stars Margot Robbie as the fiery Tonya Harding, Janney steals every scene as Harding’s acid-tongued, chain-smoking mother, LaVona Golden. Her uncomfortably believable portrayal won Janney the Golden Globe for Best Performance by an Actress in a Supporting Role in Any Motion Picture and the SAG Award for Outstanding Performance by a Female Actor in a Supporting Role. We believe Janney will receive a “perfect score” from the Academy. Don’t miss the Oscar-nominated films playing at an AMC theatre near you. Get your tickets and see who will win this Sunday, March 4. All of the Best Picture nominees will be back on the big screen at our Best Picture Showcase. Day 2 (DUNKIRK, DARKEST HOUR, CALL ME BY YOUR NAME, THE POST and GET OUT) and 24-Hour Marathon tickets are on sale now for Saturday, March 3 (at participating theatres).